Paprika Substitute – What to Use ? Usually one of the mildest spices to be found in your kitchen if you are all out what makes a good paprika substitute ? The excitement of trying out a new recipe can quickly turn into upside-down cake when you realize that you don’t have one of the ingredients the recipe calls for. Your heart drops and you are instantly overwhelmed by the feeling that the whole thing is ruined. Nothing is going to taste right without the ingredients! Thankfully, this isn’t always true, and if this ingredient is paprika, you are in luck. Paprika is an extremely simple and very mild spice typically made from dried, ground bell peppers and a paprika replacement is fairly simple as well. There are actually several spices that are comprised of peppers and others that can somewhat mimic the taste of paprika without them. Many sources will agree that the closest match to paprika is ancho chili powder, which you must keep in mind is not the same as chili powder. 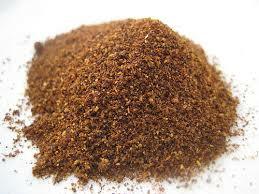 Where regular chili powder is comprised of multiple ingredients, ancho chili powder is strictly dried chilies. Just as paprika, ancho powder is super mild and rather sweet despite deriving from a different pepper, making it an excellent paprika substitute. If the primary purpose of the paprika is to add color, however, ancho powder is slightly darker and will likely produce different results. While flavor-wise ancho chili powder is an excellent match, if you don’t have paprika, there is a pretty good chance you don’t have ancho powder either. You may have cayenne powder, which can be an adequate paprika substitute as well. The only thing to keep in mind when using cayenne powder is the heat level. Cayenne pepper is noticeably hotter than paprika, though very similar in color. Heat can enhance some dishes and ruin some others so if you don’t mind a little heat and it’s appropriate for the dish, cayenne may be the way to go. Believe it or not, simply using black pepper as a paprika substitute can be fairly effective and definitely adds a tolerable spice to your dish, though if your dish depends on paprika for color, black pepper is definitely not an appropriate substitute. Though not perfect, you can replace paprika with regular chili powder but the nature of the recipe will determine whether or not this is a great idea. Chili powder contains other ingredients such as cumin and garlic powder, so if neither of these are going to complement your recipe, it would best to avoid chili powder. Additionally, you may use chipotle powder if you don’t mind a little smoky flavor. Sometimes the recipe may even call for smoked paprika. Unfortunately, using paprika as a substitute is easier than substituting paprika but you definitely have options. If you are using something such as cayenne pepper, pay attention to amounts. Cayenne pepper is considerably hotter so you would want to reduce the amount from the amount of paprika that the recipe calls for. Regular paprika is also very mild and leaving it out entirely (for some recipes) won’t be very dramatic, especially if the primary purpose of the paprika was for adding color. Paprika is traditionally made by grinding up bell peppers. Bell peppers are the kind that you will find in salads. They are not to be confused with the much hotter varieties of peppers like the chili pepper. However, some paprika may have a small amount of chili pepper added to it to add a bit a heat. 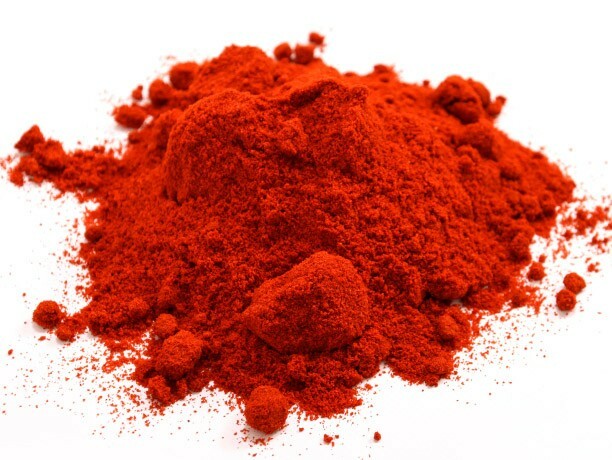 Paprika is a very mild spice so for a lot of dishes it is used merely to add a deep red color to the dish. « Saffron Substitute – What to Use ?